THE 2018 ZIMSEC November Ordinary Level results are out and can be uploaded online. 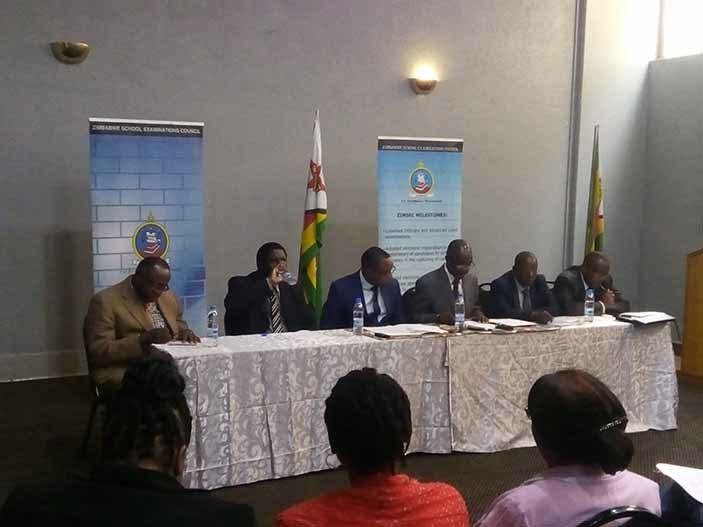 In a statement, ZIMSEC board chairperson Eddie Mwenje said the move was meant for easy access of results as they can be accessed through any electronic device that supports the internet. He, however, said the uploaded results cannot be printed for safety reasons. “We are pleased to announce that beginning with the November 2018 Ordinary Level Examinations, results will be accessible to candidates and authorised personnel online,” he said. He noted that the number of candidates who sat for the November 2018 examination was 239 441, less than the number of candidates who registered for 2017 which was 332 473 with difference of 29.98 percent. Speaking on the same occasion, Minister of Primary and Secondary Education Professor Paul Mavima said the high number of 2017 candidates was due to the fact that private candidates panicked as they wanted to sit for what they thought were the last ZIMSEC examinations. However, Minister Mavima explained that there still is room for private candidates. “People panicked and a lot of candidates registered, but ZIMSEC still has room for private candidates. “Ordinary level results are worth celebrating, as the previous students set a pace for the next candidates,” he said.